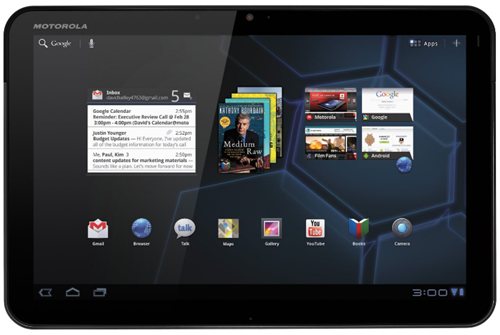 About 2 weeks ago, in collaboration with NVIDIA we threw our largest giveaway ever, with the grand prize of a Wi-Fi Motorola XOOM, one of the hottest tablets around. What happened next was way above any expectations I've set for this contest - there were over 3,300 entries between Twitter and Facebook, with Twitter leading the pack with about 1900 and Facebook trailing behind with about 1400. At first, NVIDIA was concerned about running the giveaway in countries outside the U.S. but we wanted as many of you to participate as possible, so we pushed for it and managed to get as many countries outside the U.S. approved as possible, within allowed limits set with various legal considerations in mind. Having this successful precedent behind us, we will try to do the same with the future giveaways as well for you non-U.S. folks. Unfortunately, even though we want to send a XOOM to each and every one of you, only 1 out of the 3,300 entrants could be selected. If you didn't win, don't get upset - we'll have more great contests coming up shortly. Update May 17th: We've given the original winner plenty of time to respond (8 days), but since he hasn't, another winner was drawn. 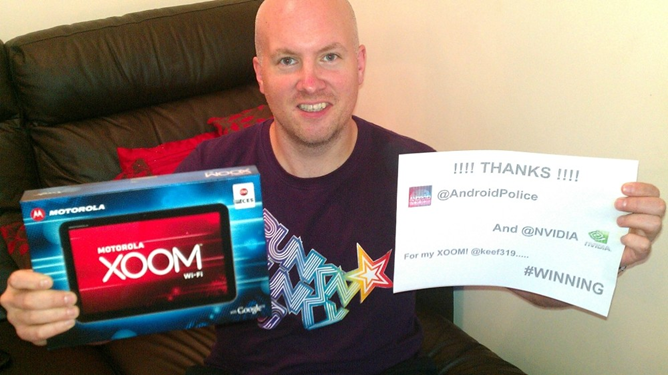 @keef319 (Keef) from Walkern, United Kingdom, who entered using Twitter on April 23rd with this comment "Go on..Turn from the dark side, Android is your friend," you are now the owner of a brand new XOOM Wi-Fi tablet. Congratulations! We will be contacting Keef shortly, and as for the rest of you, better luck next time and stay tuned - we have a couple of even better giveaways coming right up!